Does prime speaker zegana look at a nylea god of the hunt? throwing knife + willbreaker combo - only 1 target allowed? 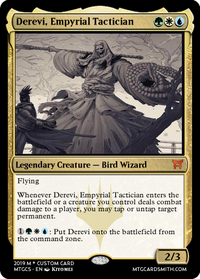 Can Derevi, Empyrial Tactician's activated ability be targeted by Disallow from the Command Zone? AKBZ on I'm getting out of ideas. I imagine that they don’t like a consistent deck. They don’t like a deck doing the same thing every time. Like, edric is extra turns, and Azami goes and gets Paradox Engine and Edgar cheats out a board of vampires and the sliver deck always starts off with the same sequence of slivers. They probably give you dirty looks when you cast Demonic Tutor and know that you are going to get a combo piece. 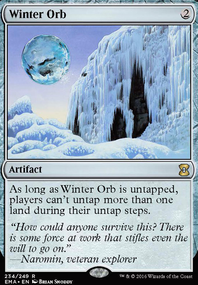 The thing is, I don’t think you can ever please them, because you enjoy your deck doing the same thing every time. Let’s take something like reanimator. 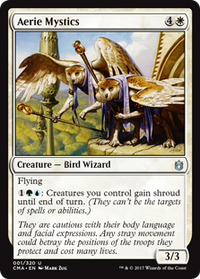 You can play five colored reanimator and have all sorts of creatures to bring back. You can play Jin gitaxis, or elesh norn, or sire of insanity. 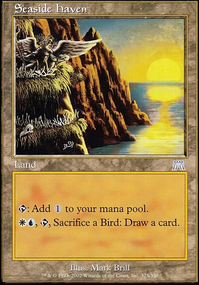 It honestly won’t matter what you bring back, because you are consistently using Entomb or Buried Alive to put creatures into the grave, then using Animate Dead to bring them back, and you are doing that every time. Because you are consistent, they won’t like the deck. 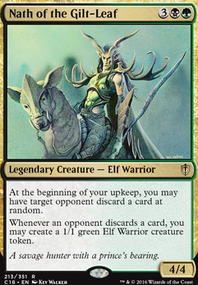 You can play elf ball and finish with Craterhoof Behemoth , but because you ramped so fast and you play one mana dork that is the same as another, and probably finish with any Overrun effect, they won’t like it. What they want is too see the deck do something different every time, which is just ridiculous. 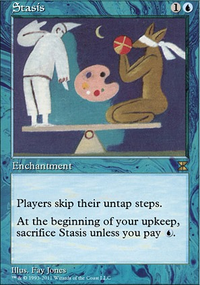 They don’t mind the reanimator aspect, they just get tired of the same tutors being used. 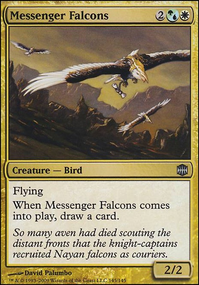 They want you to use things like Faithless Looting or Chart a Course as a way to dump creatures into your grave, while at the same time reanimating things like Avenger of Zendikar or Ghalta or something slow that they can interact with. 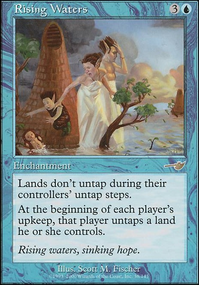 I imagine this playgroup complains about infect a lot and wanders why the number is ten in commander. What they want is you to use things like Diabolic Tutor instead of Vampiric Tutor . Quite frankly, as you can sort of tell, I deal with these same people and I too cant please them. 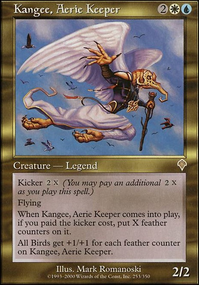 Playing a consistent deck is what makes a good deck, but commander players want variance and not lose to the same thing. 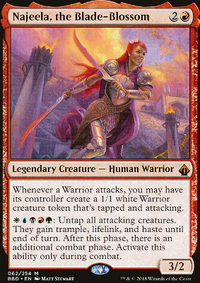 If you want to try a deck, you can try playing Najeela, Blade-Blossom as the commander, and play extra combat steps. Traditionally, you would play things like Derevi, Empyrial Tactician or Nature's Will to create infinite combat steps, but that creates infinite combat steps. Instead, play a few extra combat step cards and play synergy cards like Secure the Wastes or a lot of warriors. Instead of playing tutors, play a lot of removal. Make sure you still have a lot of draw power, so that you can stay in the game. This should give you what your group wants, which is variance. They don’t want your deck doing the same thing every time. I would also like to apologize in advance if I offended you and your friends. I know that everyone has there level of fun and everyone enjoys magic differently. 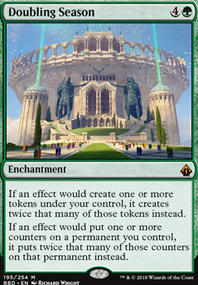 For commander players, it seems to be variance. I personally don’t subscribe to variance. I want my decks to do the same thing every time I play it. However, that appears to be what your group wants. Variety in your wins. I know that this is a very huge change but I have a stax deck that I had built with Grand Arbiter Augustin IV as it’s commander and I was running into similar problems as zendrix1 had said and so my solution had been changing the commander to Derevi, Empyrial Tactician and making Grand Arbiter Augustin IV just another card in the deck. 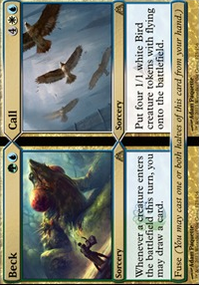 This is only a very small example of different kinds of interaction or synergy each card has with each other in the deck and is very relevant and strong versus "true" CEDH combo decks... And for every CEDH deck, there is a card in here that could stop them from using their combo (This does not mean that the game is over for them as they can still remove pieces, but generally we keep adding until it becomes impossible to come back from hence a "hard lock Stax victory"). 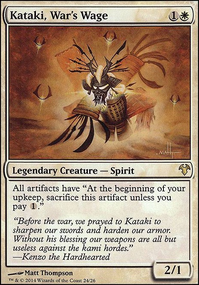 If you're looking to replace Derevi, Empyrial Tactician with anything, might I recommend Prime Speaker Vannifar . Reason being, she gives you a way to pod repeatedly with cards that keep untapping her (EI Pemmin's Aura ). 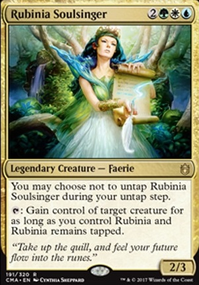 The downside is she is a 4 CMC spell, which might effect you're deck avg. CMC (if that's something that you're keeping an eye on). 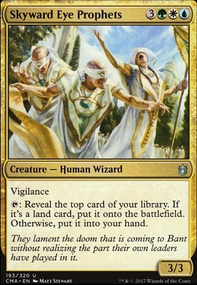 Bant is probably best for a good stuff deck that can be pretty unfocused but still have a shot at winning. 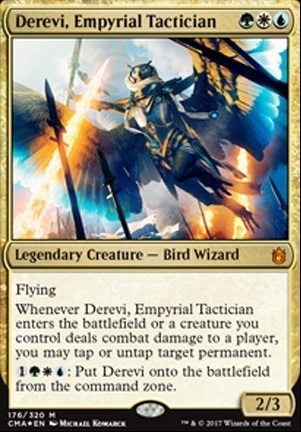 I'd go with Derevi, Empyrial Tactician at the helm personally for being so versatile, in that color shard, and virtually tax free.